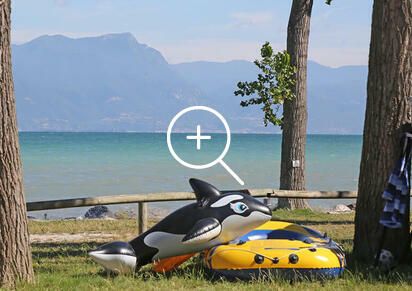 San Francesco is a campsite in Desenzano with beach directly at the Garda Lake. Almost completely shaded by tall trees, this environment offers moments of absolute relaxation. 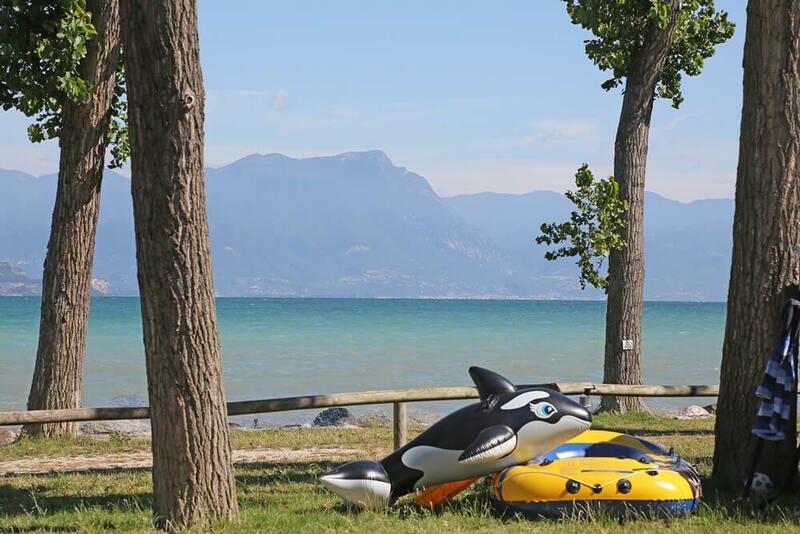 The slope to the water, the pier for mooring and the buoys allow guests to enjoy a holiday on Lake Garda (buoys must be booked at the reception office). 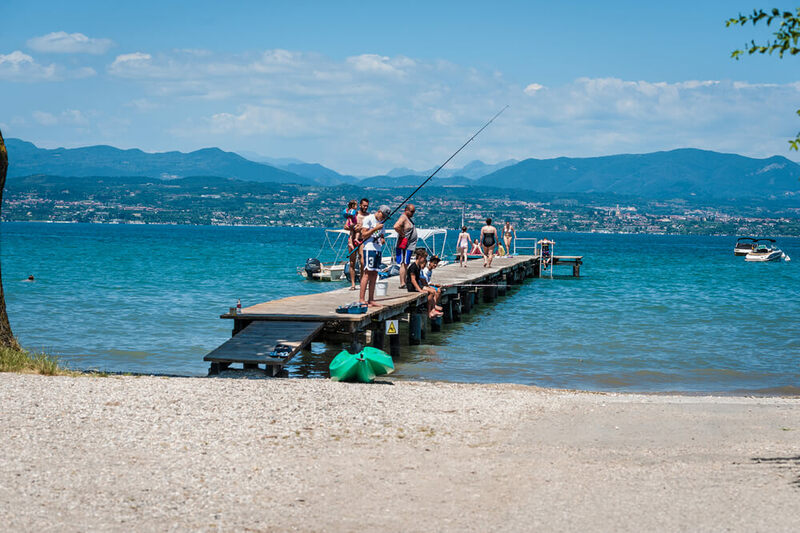 Guests can hire pedal boats and other kind of boat (with or without a nautical licence), and canoeing courses can be arranged. On Tuesday mornings a taxi boat can be booked to reach the market in the town of Desenzano. Departure from the pier of the campsite to Sirmione, stop for 2 hours and back. Tariff: € 10,00 per person. New equipped beach with pedalo boats, sunbeds, parasols. A boat rental service without licence available. Canoes and tours by boat with Sirmioneboats. 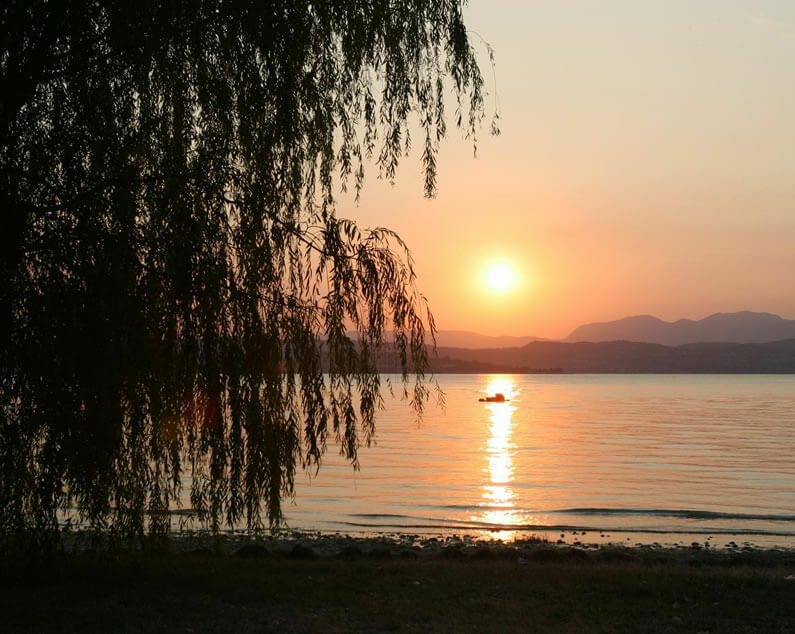 Discover Sirmione peninsula, Desenzano market, Garda Island and many other typical and romantic villages on Lake Garda.